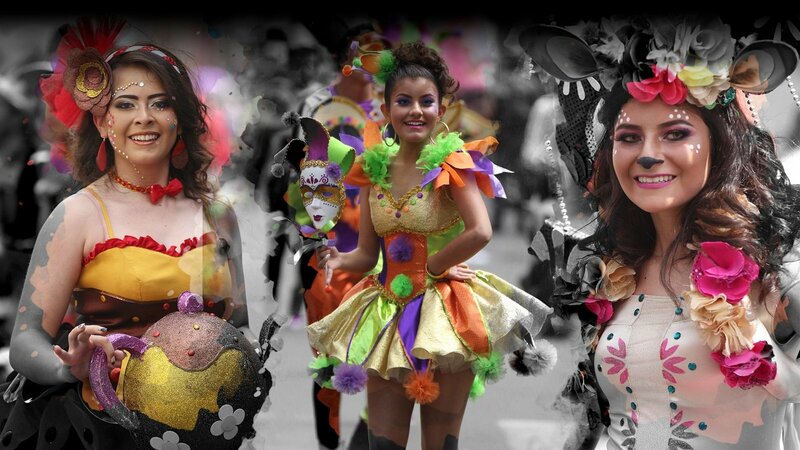 The celebration of the Fruit and Flowers Festival, was born as a response to the situation that lived, the city of Ambato after the earthquake of August 5, 1949, an earthquake that destroyed the city and many of the cantons that in that era they formed the province of Tungurahua . The party was then a manifestation of the will of the Ambateños, who rose with fervor and enthusiasm in search of reactivating the work, that is how, on February 17, 1951, the first Fiesta de la Fruta y de las Flores was celebrated, and It is important to emphasize that the ambateños do not celebrate the carnival with water or sparkling wine, we celebrate the rebirth of the earth and the fruit boom, we celebrate that we are brave workers and that from a tragedy we made the best party in the country. NOTE: By constitutional decree on MONDAY before Carnival, it is a national holiday in honor of the FESTIVAL OF FRUIT AND FLOWERS. Sunday 3 March, 8:00 p.m.
Monday, March 4, 8:00 p.m.